Joseph Djokey is a British Army veteran and Chief Servant of RHQ Digital Ltd, A Digital Transformation business based in London. After many years in IT leadership, business and the military, Joseph Djokey discovered that servant leadership can transform teams into high performance and greatness. He believes IT is a tool of liberation, so he set up RHQ Digital Ltd to help individuals and organisations to align technology to their overall business objective. Joseph has mentored, advised and facilitated a number of IT projects, including leading the IT team of Rev Jesse Jackson’s “Equanomics” UK tour. Whilst in military service, Joseph led a self-organising and cross-functional team tasked to manage both the private and public website of his regiment, a unit that combines the speed and agility of airborne and air assault troops. 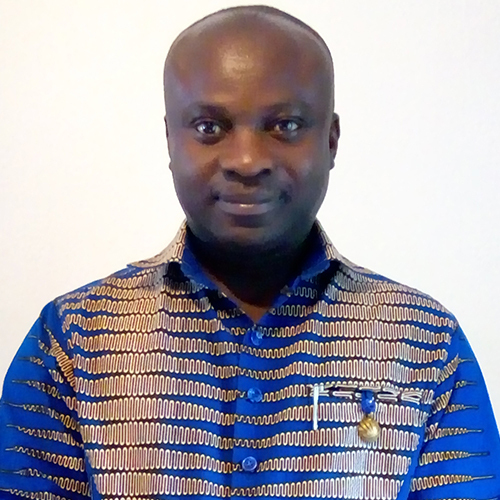 A skilled and adaptable leader with experience in implementing and facilitating change, Joseph Djokey now coaches organisations in Agile delivery and enjoys being the servant leader of a global scrum team distributed in different time zones.